One of the biggest issues of the future will be how to deal with all the new and sophisticated dangers that come with going digital. Most of our everyday activities are increasingly conducted online – from paying your bill to getting in touch with a friend, even to grocery shopping or watching a movie. Being able to do all those things means trusting online providers with your personal data, which often includes very important data like your banking details. As this trend continues to grow, law enforcement services are required to react quickly and be one step ahead of cybercriminals. This is why the city of London has decided to devote dedicated resources to fighting cybercrime. Fending off cybercriminals is no easy task. Still, most individuals and businesses fail to do even the basics. It is worth noting that a tool as simple as a WAF (short for Web Application Firewall) will protect web applications against application layer attacks and all OWASP Top 10 threats including SQL Injection, XSS attacks and remote file inclusion. Yet several businesses do not take the time and effort to invest in their cybersecurity, even though they’re eager to move their workflow online and increasingly use cloud-based tools. It seems that clients and individuals have begun to feel the repercussions as a result: In the US, more people are worried about cybercriminals than about traditional types of crime. According to data gathered by Statista, 67% of Americans frequently worry about the possibility of having their personal data or financial details compromised by hackers, while 66% fear identity theft. That is more than the 38% of people who fear their car could be stolen of 30% who are concerned about terrorism. The UK seems to have turned towards a new approach for fighting cybercrime: establishing dedicated institutions. 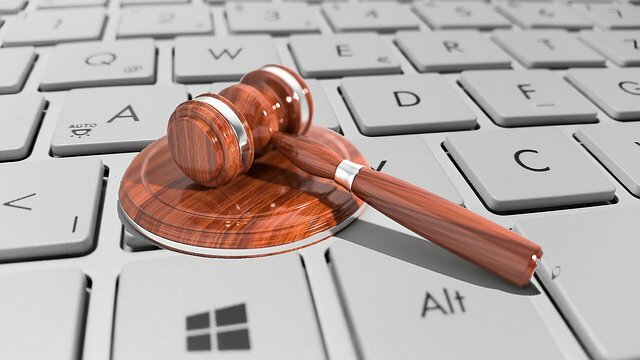 It was recently reported that Britain intends to build a specialized court dealing with cybercrime issues. In early July, the UK government went public with the plan, which has been developed in partnership with the judiciary and the City of London Corporation. It will consist of 18 courtrooms and will be housed at the site of Central London Fleetbank House, right in the middle of the City. Even though there is a lot of enthusiasm about the plans, according to the schedule, the Court will not in a position to hear cases before 2025. All in all, the project is set to cost roughly £170 million (over $220 million) and will hear not only cases related to digital crime but also economic crime and fraud. Experts claim that the cost of cybercrime is too great and too widespread – and things are only looking to get worse – so we must move now and move quickly, and the UK seems to have gotten the memo. The details and the building plan of the new Court are still not finalized but current plans show that the Fleetbank House site will be rebuilt from scratch. Whether or not this plan will work, the UK has made a bold move in adopting a newer approach on cybercrime – but we will have to wait till 2025 to see if it will pay off.